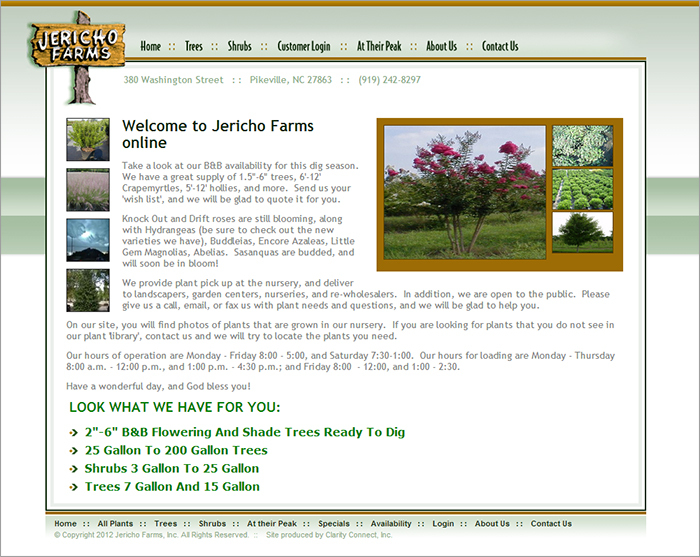 Jericho Farms is a wholesale nursery established in 1980. Since that time, they have grown to 350+ acres of container shrubs and trees and drip-irrigated B&B material. They specialize in a wide variety of landscape material for landscape contractors, re-wholesalers and garden centers.